This is a post I just have to get out of my system. You'll either love it or hate it. Agree loudly or disagree vehemently. That's OK. I can handle a difference of opinion (I think). I'm not sporty myself, but my kids are. They get it from their dad. Before my kids started playing sport, I would have probably agreed with the "everybody gets a turn" "winning doesn't matter" scenario. Mr G would come home from his football games and I'd ask how it went (meaning did you have fun and enjoy it) and was baffled when his reply was all about whether they won or not. Winning and results didn't used to matter to me. I didn't get it at all. But then I become a "soccer mum". I watched my kid excelling at sport. I became excited when we won a game, and was gutted when we lost. 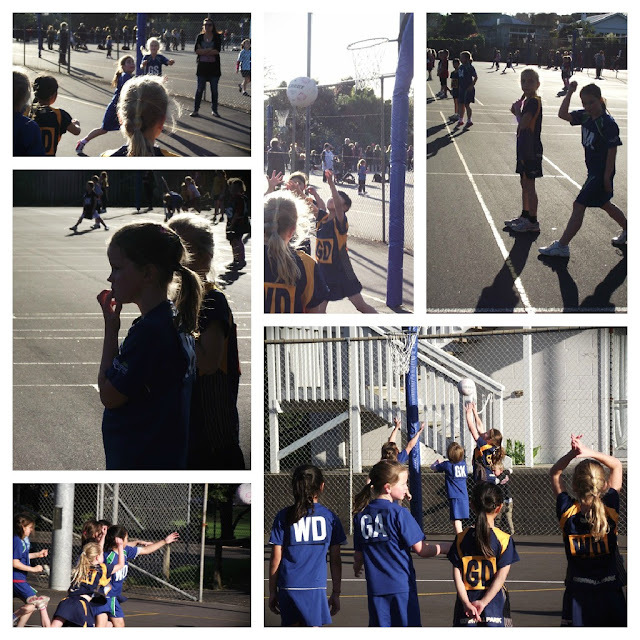 Now Miss Fab turns out to be a natural athlete and agreat little netballer, so I have become an enthusastic Netball supporter too. I'm one of those loud shouting cheering mothers who lose their voice by the end of the game. I love watching them play, and compete and give their best. 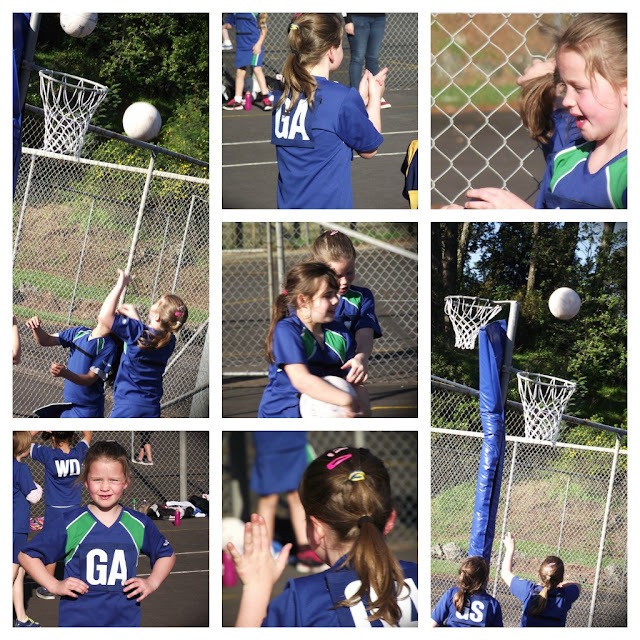 Team Sport is a brilliant thing for kids to engage in. They learn so much, and so do we. About life, being part of a team, playing by the rules, listening to the coach, winning and losing graciously... and fairness. My gripe with the Politically Correct Brigade comes down to fairness. When it comes to kids and sport, does "fairness" mean everybody gets a turn no matter what? Everybody gets Player of the Day at some point (even if they don't deserve it)? Everybody gets to play key positions (even if they're hopeless and it costs the team the game)? Is that really fair to the team? Losing week after week when they are actually a really good team who have a chance at winning if everyone is playing in the right position? How demoralising is that? Oh I forgot that winning doesn't matter, just participating. We dumb everything down so nobody wins and everybody gets a prize. Doesn't this only encourage mediocrity and discourage excellence? This is the way of the Politically Correct Brigade, and it makes me livid. We adults in all our "wisdom" seem to have commandeered the concept of fairness and replaced genuine reward for achievement and effort* [see below] with "everybody gets a turn" bullpucky. At the cost of true fairness, which recognises effort and achievement* and rewards it accordingly. In a well-intentioned attempt to help boost the self esteem of kids who are not as "good at sport" as others, we actually detract from what recognition and reward* really means. Instead of rewarding a gutsy performance with Player of the Day, we feel compelled to give in to the mother who turns up demanding the trophy for her child who "hasn't had it yet" (despite the fact that the child has actually done nothing that day to actually deserve it). Then we have to try and explain this decision to our angry child who is railing against the blatant unfairness; why the child who did nothing to help the outcome of the game got rewarded, while the rest of the team who worked and sweated and never stopped trying went home empty-handed. "Any of them deserved it more than her, mum, any of them!" "It's not fair!" she wails, and she's right. The real world beyond school doesn't work this way. Nobody got a medal at the Olympics because "they hadn't had one yet." Michael Phelps didn't have to hand over his haul to his team-mates because he already had a gold and they didn't. The very idea is plainly ridiculous. Do we think our kids don't understand this? They are smarter than we think. They see through our attempt at so-called fairness and know that they are just "having a turn" at the trophy. They feel no elation or sense of pride if they know they didn't deserve it, haven't actually won it. Actually, they feel stink because they know their team-mates resent it. Better if they were given the trophy on a day they really did something. An award has to mean something, or everybody loses out. If something is easy to get, it means nothing. Our kids understand this already. They already know what fair is, and what it isn't. Something in them tells them it is so. An internal fairness compass that hasn't yet been skewed by political correctness and people-pleasing. Handing out "turn trophies" is meaningless, and they know it. Their self esteem is not built by us endlessly telling them they are great. It's built by them feeling good about what they can do; knowing they are competent. Then and only then does our praise in their ears ring true. Otherwise, their little hearts dismiss our words, saying "You're just saying that cos you're my mum." If we must, let's have two trophies. One we take turns with (to satisfy the PC Brigade) and one that is a true recognition of effort and achievement. So it means something. So they can truly take pride in themselves when they get it. Now it's your turn. Thoughts, anyone? *CLARIFICATION: By "Effort and Achievement" I don't only mean the top players or the ones who score the goals etc; I mean the ones who really try, give their best, work hard. My objection to "taking turns" is when it is given undeservedly. You really should have done something to deserve it - e.g. listened to the coach, remembered what you learned at training etc etc. Not because your mum complains. P.S. I also think sport is great for kids regardless of their ability (I would have benefitted from netball myself as a kid, despite my unco-ness). As long as the kids try, work, train, practise, do their best, that's what sport is about. Standing there watching the ball go past and THEN getting player of the day is what I object to. Phew. Hopefully I've cleared that one up?